Your mouth is one of the most important parts of your body, and you should treat it like royalty. It means that flossing and brushing should be part of your daily mouth cleaning routine. However, things go wrong from time to time, so you might need to get screening so your doctor can detect any sign of oral cancer. In any case, we are here to help you. That`s the reason why we have written this short article so you may know what this type of oral screening is and the things this process can do for you. This type of cancer screening is a process that is made to find cancer before a patient experiences any symptoms. This will help find this kind of cancer when it is at early stages of development. If this cancer is found early, physicians can treat it easier. Anyway, cancer might have started to spread when the symptoms appear in a person. Your doctor might recommend that you get a screening test, but it does not mean that you have cancer in any way. Diagnostic tests might be performed if your doctor finds that you have abnormal results. Your dentist or doctor will perform a screening to find any precancerous condition or signs of cancer in a patient`s mouth. The goal of this type of testing if finding signs of cancer early so appropriate treatment can be used to deal with this. It is vital because it can help dentist find cancer in your mouth in early stages. They will perform many tests to find any sign of cancer in your mouth. You must also know that this type of screening isn`t proven to save lives. Also, not all health organization agree on whether this kind of testing is right or wrong for you. If you have a high risk of cancer, you might be more likely to experience oral cancer, but no studies have proved that. Risk factors include previous history of too much exposure to sun rays, tobacco abuse, alcohol abuse, and an oral cancer diagnosis in your medical history. Asking your dentist about whether this type of screen is fine for you is always a good idea. Also, as your doctor about quitting habits like drinking alcohol or smoking so you can reduce your risk factors. 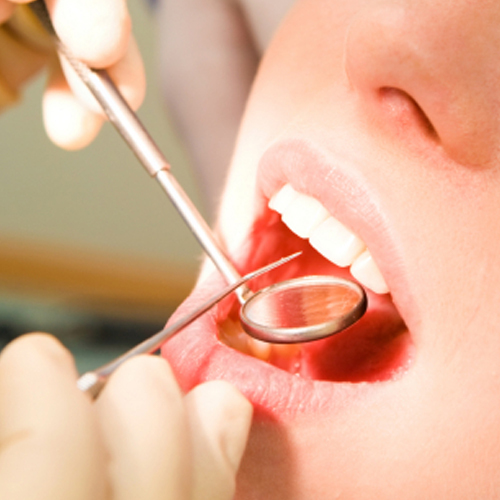 Screening is important because this process is used to find any sing of cancer in your mouth. However, you should talk with your doctor so you can keep your mouth healthy. If your doctor tells you that you need to get this type of screening, you should not worry about it. Your dentist only wants to get some information about the health of your mouth, and that`s all. So these types of procedures should not make you worry too much about your health or something like that. Detecting the signs of cancer in its early stages is imperative for your life, so you should get this type of screening as soon as you doctor tells you to do so.